Generously sized heads and shower compartment. A good looking boat benefiting from a professional Hull respray in 2 pack paint and a fully serviced single diesel Volvo 6 cylinder diesel engine, gearbox and shaft. The canopy is as new and the topsides are in original gelcoat. She offers up to 6 berths (2 in the spacious aft cockpit) and a well proportioned interior and full galley. The wheelhouse is easily removed and the screens lower to give a minimum airdraft of 6ft 6ins. With Screen up and roof on she is 8ft 6ins. And ideal boat for rivers and estuaries she is very economical at river speeds and will also give a 10mph cruising speed. 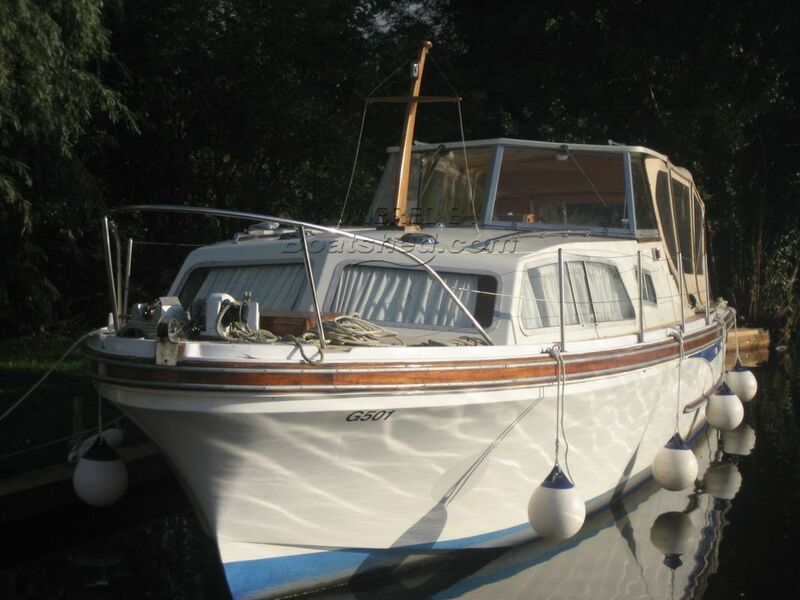 This Project 31 has been personally photographed and viewed by Gary of Boatshed Norfolk. Click here for contact details.